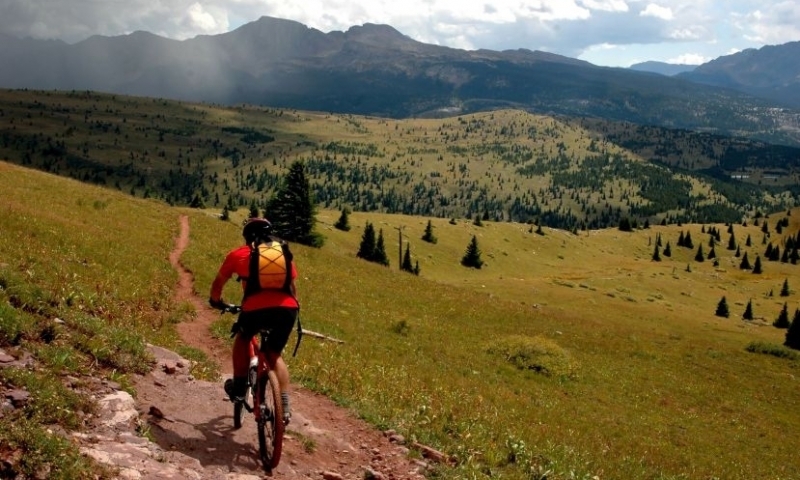 Biking Estes Park offers a whole new way to explore the Rocky Mountains. Take a tour, or stop by a local shop and ask where to go! One-stop shop for fully customized tours and events with the highest safety standards, certified professional guides, and detail-oriented customer service! Whether its hiking, rock climbing, or biking, Estes Park Mountain Shop has what you need. Not only do they sell hiking products but they offer tours. See Rocky Mountain National Park by bike! Guided downhill tours in the park and historic, interpretive tours of the town of Estes Park, Colorado. Bikes provided with tours. Where can I go Biking or take a Bike Tour? Circle Estes Lake on this pleasant ride. Enjoy exquisite views of the rocky peaks. Trailhead: Multiple starting points are around the lake. Park at the Convention and Visitors Bureau at 500 Big Thompson Ave, and jump on the trail. Ride this loop from Estes Park into Rocky Mountain National Park, where bikers are allowed to ride on paved roads. Enjoy this exhilarating climb and its beautiful scenery! Trailhead: None. Enter Rocky Mountain National Park through Fall River Entrance. Left at US 36. Exit through Beaver Meadows Entrance. Ride back to Estes Park. Start above tree line and ride down through the alpine tundra into the pine forest. 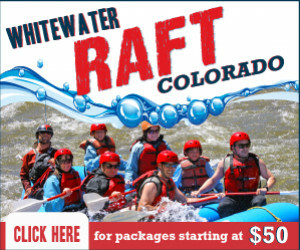 You’ll see panoramic views of snow-tipped Rocky Mountains, and hopefully spot some wildlife. Trailhead: Starts above tree line. Ends near Beaver Meadows Visitor Center, or ride all the way back to Estes Park! For locals this is a favorite mountain bike trail. Drop-offs, rocks, meadows, and mountain scenery are along this ride from Glen Haven to Estes Park. Ask an Estes Park bike shop for more details! Optional: You can start in Estes Park, but there’s no marked trailhead. The trail begins on the H-Bar-G Ranch Property. Head west on US 34, turn right on Dry Gulch Rd, then right on H Bar G Rd. As you ride down this canyon, aspens and evergreens surround you. Stop in Glen Haven for a yummy cinnamon role. Continue to Drake.